The Central Coast is an amazing & beautiful place to live, and for Kathy it’s an extraordinary privilege to have served the Community for the past 30 years in the Real Estate Industry. Her vast experience and training and high standard of work ethics and integrity has earned her the reputation of “A Name You Can Trust”! Kathy understands that success is based on the total customer care and experience. With an attentive ear for your needs and concerns, and attention to details, Kathy will give you the “peace of mind” that you deserve in any transaction. She specializes in Residential, Equestrian Ranches, Country Estates and Executive Homes throughout the County including Beach properties along the gorgeous Scenic Coast that covers Cambria, Cayucos, Morro Bay, Los Osos, and Avila Beach. Kathy also serves the community and is actively involved in her church. She has a great love for God and her Family, and enjoys time with her 5 adorable grandchildren. When Kathy is not working you might find her kayaking, taking pictures of sunsets, riding horses with friends or hiking the trails of the beautiful Central Coast. 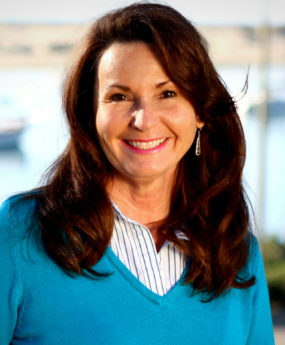 Kathy is a member of the Paso Robles Association of Realtors, the California Association of Realtors, and National Association of Realtors, and has been actively involved with the San Luis Obispo County Food Coalition. When dealing with such an important investment it makes sense to work with someone that is committed to your success. Here at Home & Ranch Sotheby’s International Realty we treat our clients with the utmost care and professionalism. For “A Name You Can Trust” call Kathy Mizell. Making a difference…One Home at a Time!